Contract Signed! Elegant Pied-e-terre or Starter-home available for the discerning buyer. Enter your jewel box domicile through an 18-ft. gallery, the perfect spot to exhibit your favorite artwork. 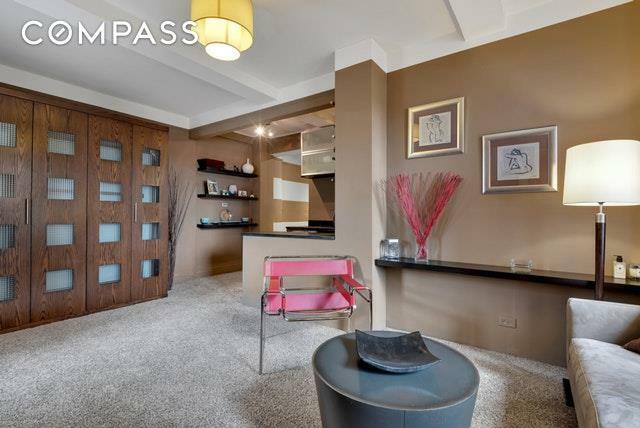 This designer home with a custom-built Murphy bed has been tastefully renovated to maximize living space while providing optimal comfort and functionality. Double exposures allow sunlight to cascade in throughout the day. 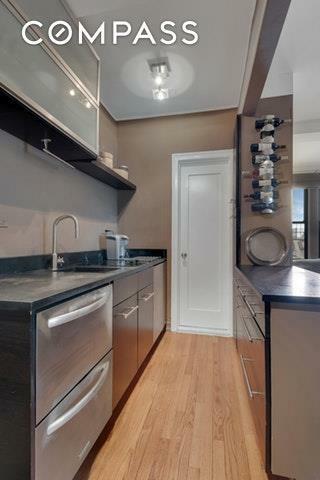 The contemporary style kitchen includes an island that provides additional storage while doubling as a breakfast bar. A mint conditioned windowed bathroom warmly clad in grey marble tiles completes your sanctuary. 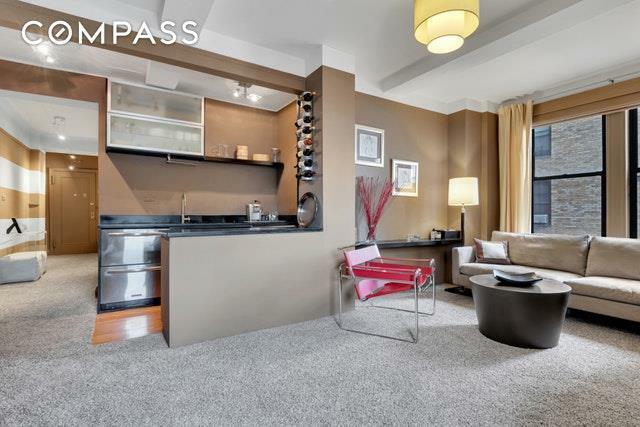 Seize this opportunity to live in this well-established full-service co-op on New Yorks highly desired upper westside. The iconic buildings storied past includes former residents who were cultural and musical luminaries such as George and Ira Gershwin. This prewar classic art-deco building is pet friendly and offers onsite laundry facilities and bike storage. 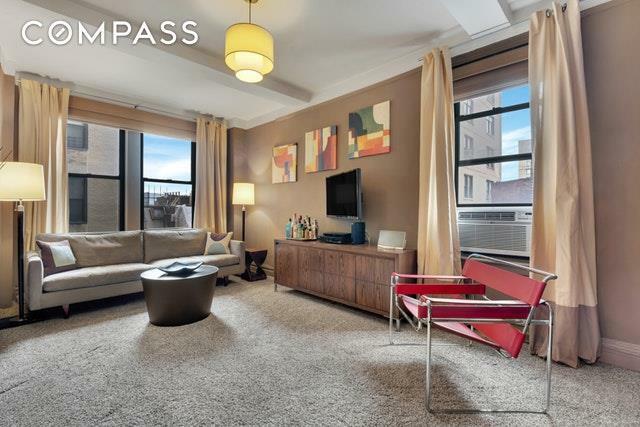 Conveniently located next to Riverside Park, near the express 72nd Street Subway Station, Lincoln Center and the Boat Basin. You are also just a short stroll to New York's landmarkculinary favorites including Fairway, Citarella, Trader Joe's and Zabar's. Listing courtesy of Jackie Chan Brown of Compass.